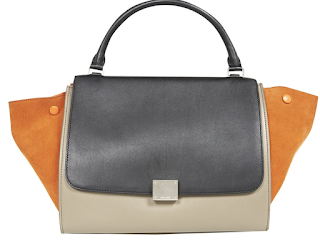 Black and light grey leather with orange suede handbag, single top handle, removable shoulder strap, can be worn in the crook of the arm or over the shoulder, flap with clasp closure, concealed snap fasteners and gussets, zip closure under the flap, inner flat pockets, back zipped pocket. Sold with packaging. Handle height: 11 cm. 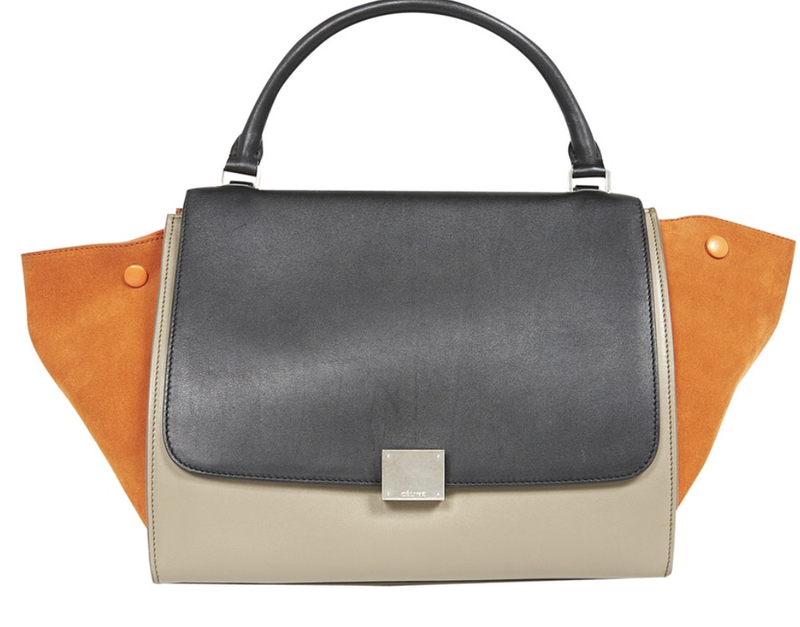 Shoulder strap length: 65 cm. Storage marks on the leather. Price: GBP 1 500 plus p&p.